Note: I have never seen an episode of Stranger Things. I’ve just seen a lot of angry tweets. Yeah, this post is going there. Getting right into it, Uncle Tom’s Cabin is similar to The Heroic Slave because they both depict slaves as emotional beings who follow their hearts before their minds, and are interesting for white people to read about. Both romances are heterosexual, and complicated by slavery, and the chase for freedom. Both stories appeal to pathos, and develop empathetic relationships between the reader and the characters. The modern outrage of Stranger Things fans can be compared to what I felt while reading these two stories. Why are the authors romanticizing slaves? Is that what sold books back then? Stranger Things fans defending the 13-year-old actors from the show have just as much a right to be angry as everyone who have read these stories from the 19th century. White people love to romanticize things that should never be romanticized, including children and slaves. Why do these texts romanticize the forlorn slave? We discussed that The Heroic Slave was written a certain way to attract a white audience. The story made white people look good, because they helped the distressed slave; the young and attractive Madison Washington. In Uncle Tom’s Cabin, we have Eliza, a young and attractive slave, who can pass as white. She has a good friendship with the woman who owns her, and she sees it as a genuine friendship, rather than the hostile and dehumanizing situation that it is. Eliza has even more of a white likability than Madison, because she quite perfectly resembles a damsel-in-distress and a heroin at the same time. “Then there was the parting from every familiar object,—the place where she had grown up, the trees under which she had played, the groves where she had walked many an evening in happier days, by the side of her young husband,—everything, as it lay in the clear, frosty starlight, seemed to speak reproachfully to her, and ask her whither could she go from a home like that? This passage challenges how far Eliza would go for her family. A white woman at this time would never have to make such a make-or-break decision. Eliza could pass as white, but she has African-American heritage as well, and she is a slave on the run. She gets treated differently throughout the story because she looks white. She would not have been as close with her mistress if she did not look white. Eliza had to sacrifice her friendship with her mistress, her home, as well as her own and her child’s safety in order to be free and reunited with her husband. To Eliza, the hope of a future where they are all together is worth the risk of being caught. This can be compared to Madison’s thought process, in which he cannot truly be freed from slavery unless his wife is freed too. It’s easy to understand why Eliza and Madison let their emotions determine their actions, they are torn from their families, and they have nothing besides their families. Romanticizing slaves, meaning this heteronormative scenario of husbands and wives being split up by the confines of slavery and the desire for freedom attracts white people like bees to honey, most likely because it is easy to believe, and fun to read about. 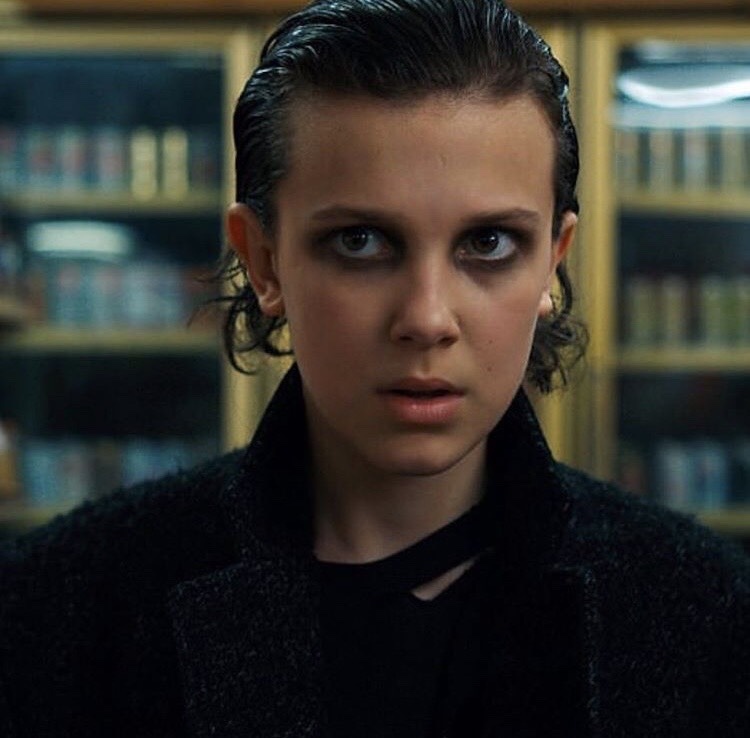 I have not seen Stranger Things, but I have heard that the kids get romanticized/sexualized because they are young, attractive and heterosexual. Through these lenses, it is easy to romanticize, although it doesn’t mean people should. The Open Anthology of Earlier American Literature: A PSU-Based Project by Samantha Latos is licensed under a Creative Commons Attribution 4.0 International License, except where otherwise noted.